An architectural fragment was salvaged from an 1880 era library bookcase. 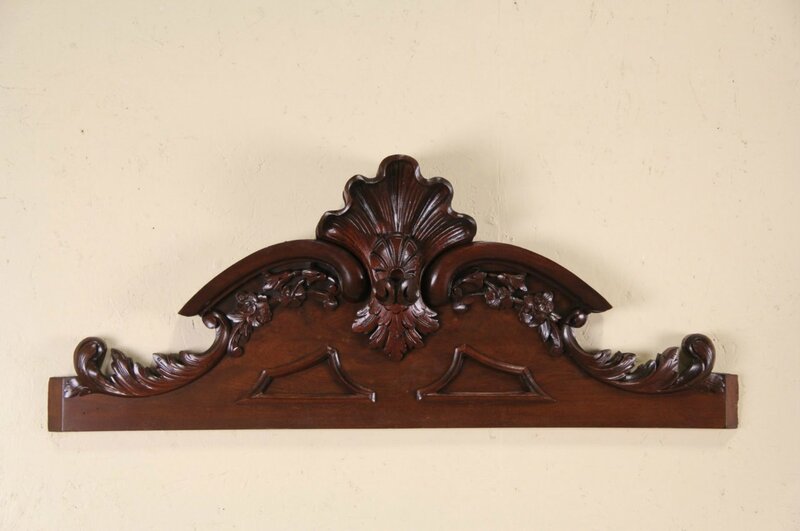 Hand carved of solid mahogany, the original finish is very well preserved on this antique from Germany. Measurements are 37" wide, 15" tall and 5" deep.